Daily practice that balances mind-body-spirit. Re-gain natural healing through your touch ~ for yourself and others. 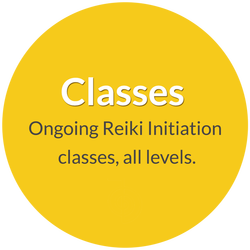 A complete program of instruction to become a well-trained Reiki Practitioner and Teaching Master.